What girl doesn’t love a flower bouquet for Valentine’s Day (or any day of the year for that matter)? As much as I love fresh cut flowers, I don’t love how fleeting they are. I’m always looking for creative ways to create more “evergreen” arrangements in our home. This Valentine’s Day centerpiece that I made for Oriental Trading is the perfect way to get your flower fix for Valentine’s Day. However the flowers have been replaced by the cutest plush hearts! 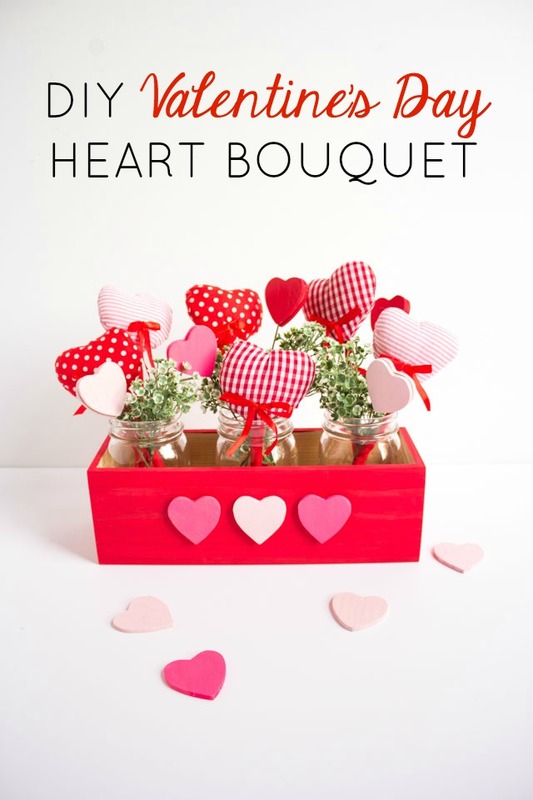 To create my heart bouquet I started with a wood planter box and three pint mason jars. I filled each of them with a mix of plush hearts, wood heart picks, and some faux greenery. No water necessary! It is the perfect size to display on your kitchen counter or table. 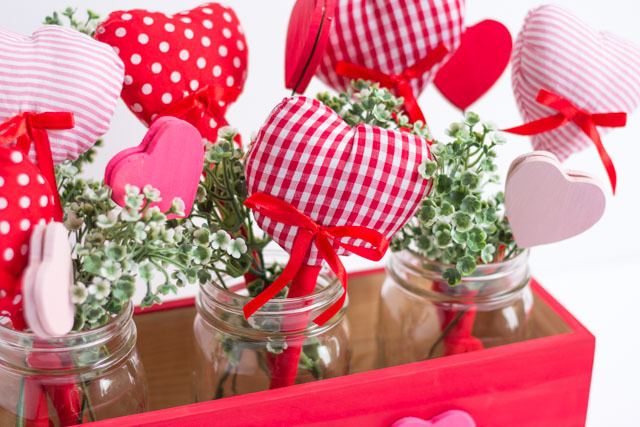 When it comes to Valentine’s Day decorating I think all you need are just a couple simple touches like this! These are the sweet plush hearts that inspired my bouquet project. 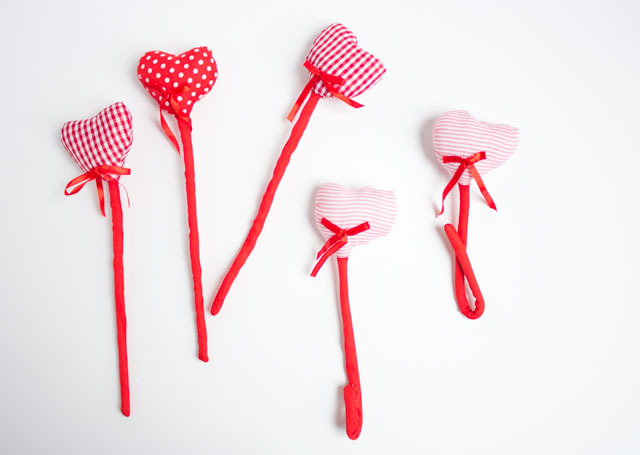 They come in a set of 12, and are such a fun alternative to flowers! 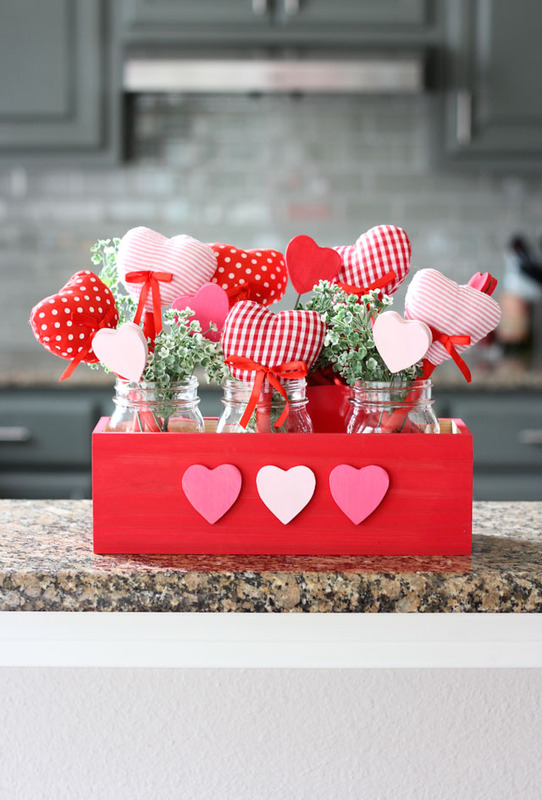 Head to Oriental Trading’s Fun365.com site for the step-by-step heart centerpiece tutorial and a full list of supplies! This post is sponsored by Oriental Trading.